One day in the not-so-distant future, you may come home expecting a package on the doorstep only to find that you have to make a special trip to the dry cleaners to actually retrieve your goods. That’s the idea behind the United Parcel Service’s latest attempt to cut down on delivery stops and apparently protect your packages from those with sticky fingers. The Wall Street Journal reports that Access Point, as the new service is called, would allow consumers to skip waiting at home to sign for a package and instead pick them up at the pharmacy, convenience store, dry cleaners and other local businesses. Officials with UPS say the program is designed for people who work or live in big cities, where packages left on the doorstep could be stolen. UPS reports that a survey of shoppers found about a third of consumer living in an urban area said it would be convenient to have items shipped to a local retailer when they aren’t home to receive it themselves. These types of pick up locations aren’t a new venture for UPS. The company currently has more than 12,000 locations in Europe and hopes to expand to 20,000 worldwide by 2015. The WSJ reports that future Access Point locations, which will include current UPS store fronts, will be designed to coordinate with the company’s My Choice app. The app allows users to instruct drivers to leave packages in certain places or sign for them ahead of delivery. 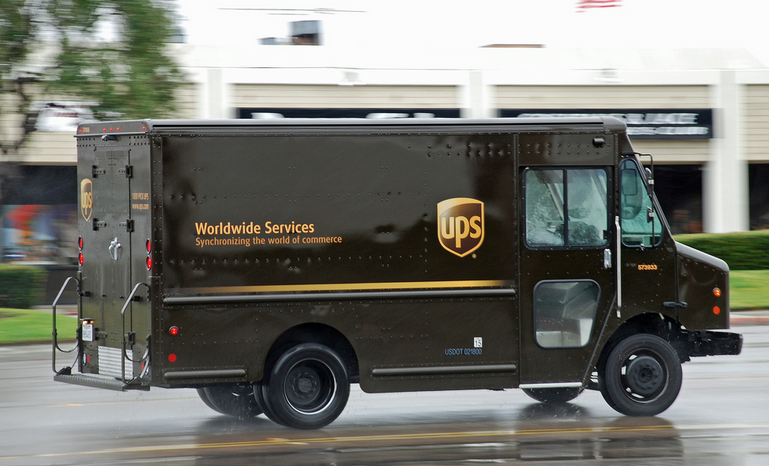 Earlier this summer, UPS began testing Access Point at 300 locations in Chicago and New York. While Access Point might sound convenient for consumers, it could also prove beneficial for local business owners and the UPS itself. One of the U.S. test locations is Danny’s Pharmacy, where customers can pick up their packages stowed behind the counter after showing an ID. The owner of the pharmacy reports he makes $0.50 per package delivered to the store, but the real benefit is attracting new customers. On the other hand UPS, which is trying to find ways to cut the cost of delivering e-commerce, could save significantly on labor and fuel costs with Access Point. While the company declined to specify just how much it would save, the WSJ reports that saving one minute per driver, per day could save the company about $14.5 million a year. Back in 2012, Amazon began implemented the use of delivery lockers at convenience stores and retailers such as Staples and Radio Shack in big cities. While you can still pick up your packages at such kiosks in certain areas, Staples and Radio Shack backed out of the locker location roster after just a year.